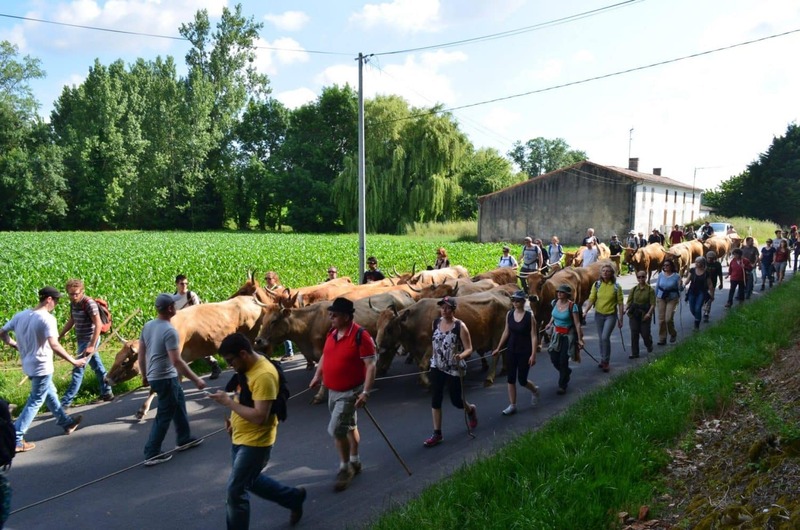 HAPPY CULTORS FRENCH TOUR ENG Step 4 – Are agriculture and ecology politically compatible? 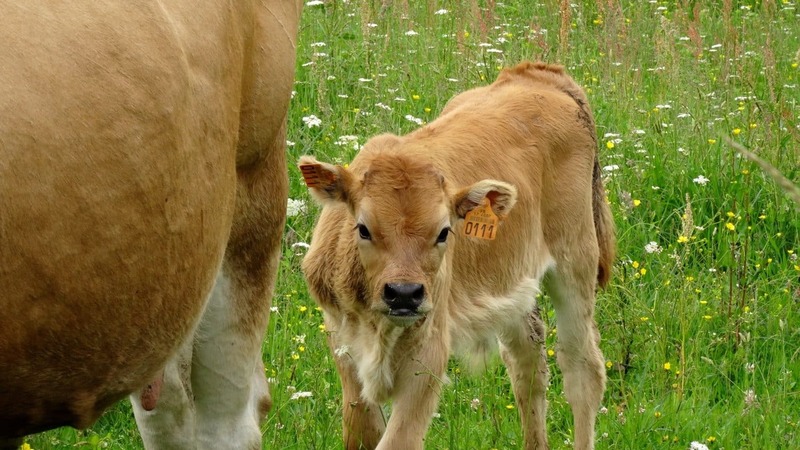 Are agriculture and ecology politically compatible? Impossible to describe in just a few words this 4th stage of my -tour de France of natural agriculture pioneers -with Benoit Biteau and Stephanie Muzard. 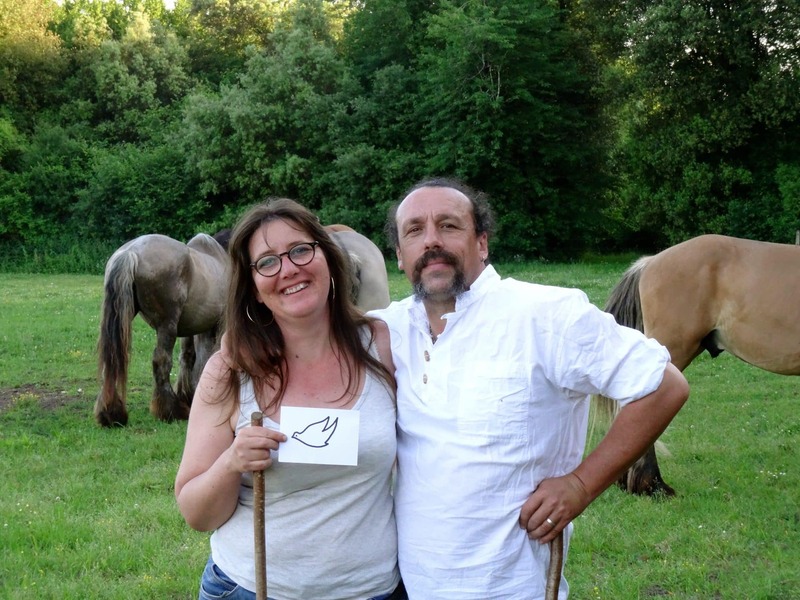 Have you not seen on TEDx’ show a farmer-politician and his wife, a co-director artist? Thanks to this video (in french only I am sorry) you will quickly understand with which characters I just shared a couple of days with. Back in 2006 Benoit acquired the family farm and converted it to the organic farm “Val de Seudre Identi’Terre”; he is then 40 years old. This 180 hectares farm located in the heart of the department “Charente-Maritime (17)” is cumulating 240 000 euros of debt. For 30 years, Benoit’s father practiced an intensive agriculture, characterized by the usage of chemicals, corn monoculture and consuming close to 300 000 m3 of water per year (equating to the water consumption of a 7 000 inhabitants town). Benoit tells: “When I settled down in 2006 my dad would tell me “No spraying, no harvesting”. The coming summer I asked him to harvest the molting barley. Given the yield, he re-considered his a priori. It is my most beautiful success”. 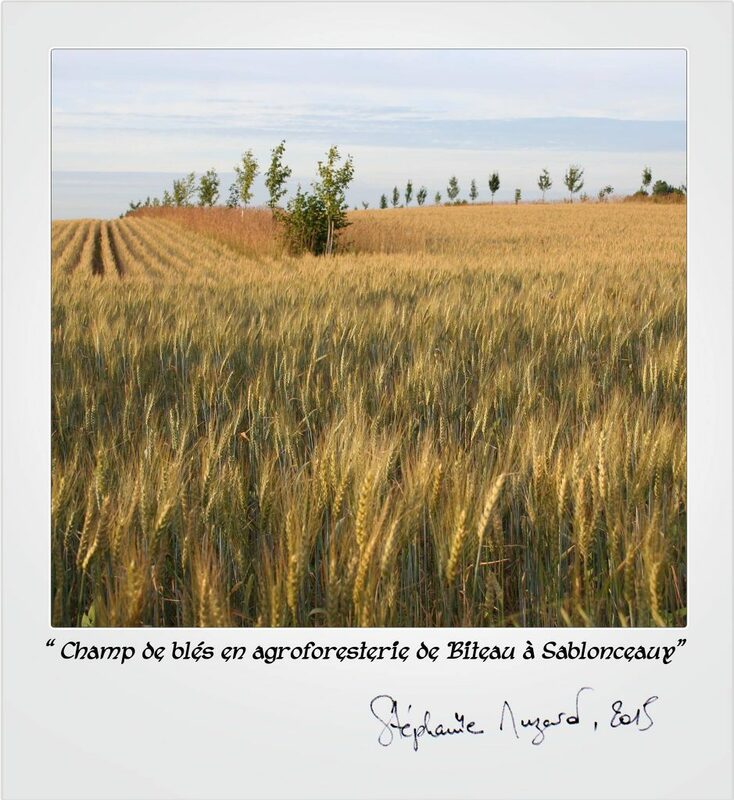 Three years later, in 2009, Benoit received the 1st prize at the National Trophy of Sustainable agriculture. The reason? He showed in less than three years that agriculture could rime with conservation of the land, with conversation of future generations and with economic profit. Implement multicultural techniques without irrigation (a blend of leguminous plants and cereals: barley, rye, sunflower, soya, faba bean, green peas, chickpea, bread wheat, camelina, etc) using farmers’ seeds. Practice agro-forestry (since 2006 he planted over 5000 trees on his plots, thus positively contributing to the farm’s ecosystem, to the landscape reconstitution, to the soil conservation, to a better water retention, to a 40% higher yield, to counteracting global warming). Practice local ancient endangered species breeding (Baudet du Poitou, Maraichine cow, Poitevines goats, Traits Poitevins Mulassiers horses) that contribute to the restoring of prairies, to the conservation of genetic patrimony. Rediscovering peasantry knowledge, the ability to mobilize endless and free resources (atmospheric nitrogen, light, soil life, carbon) and the possibility to lean on local genetic pools (by rearing rustic species and well suited ancient seeds). However Benoit did not meet this challenge on his own: he carries our society through his movements on different levels. It is for those reasons that Benoit, as Vice-president of the Poitou-Charente Region, implemented the Plan de Development Rural Regional, recognized as Europe’s most ecological plan. It allowed European regional funds to support organic, sustainable farming that is less expensive for public policies. It allows then for the taxpayer’s money to be invested in other policies than those that compensate negative impacts of a polluting agriculture (which already receives 11.5 billions of euros of public aid). The subject is broad, complex. The farm’s website (in french only) ran by Stephanie [activist artist, married with Benoit, co-director of the movie “Sans Terre et sans reproches” (Without land et without reproach), in the making of her second movie “Du coq a l’ame” (play on words from the saying “passer du coq a l’ane”, which translates to “leaping from one idea to another idea without seemingly logical connection”. Here “l’ane”, the donkey, is replaced by “l’ame”, the soul.) ] is a real data base in which you will find more information about Benoit’s commitments. I was telling you that he acts on different levels. At a local level, what he has implemented at the farm, he could not have done it without the help of his citizen friends. During my wolfing in their farm, I have experienced the solidary transhumance (moving of the herd) of his maraichine cattle. 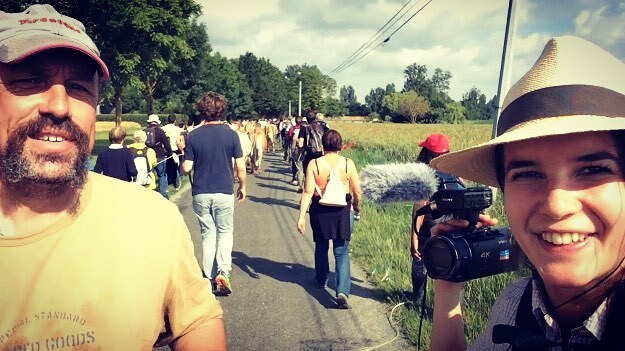 With a 130 motivated volunteers we accompanied the herd toward the swamps of the Seudre where it will spend the whole summer. A unique experience, merci! Thanks Antoine Vinay for your translation! reminds me of my previous room mate! He consistently kept talking about this. I ‘ll forward this article to him. Pretty certain he will have a good read. brief and accurate advice… Thanks for sharing this one.